Discover why one gang of bike enthusiasts continue to come back to Amandola, a small Italian village, year after year. Back in 2010 Terje Lisether fell in love with the city of Amandola. Six years later he and his gang of childhood friends still come back every year. Located in the national park of Monti Sibilinni in the Italian province of Marche, it has clearly yet to be discovered by mass tourism. This is the real Italian countryside. Amandola sits in the middle of Italy, 50 km from the Adriatic Coast. It stretched a mere 69.4 km2 and with a population just under 4 000 it is a nice little town concentrated around the town square where cafes and shops can be found. The people are friendly and including. 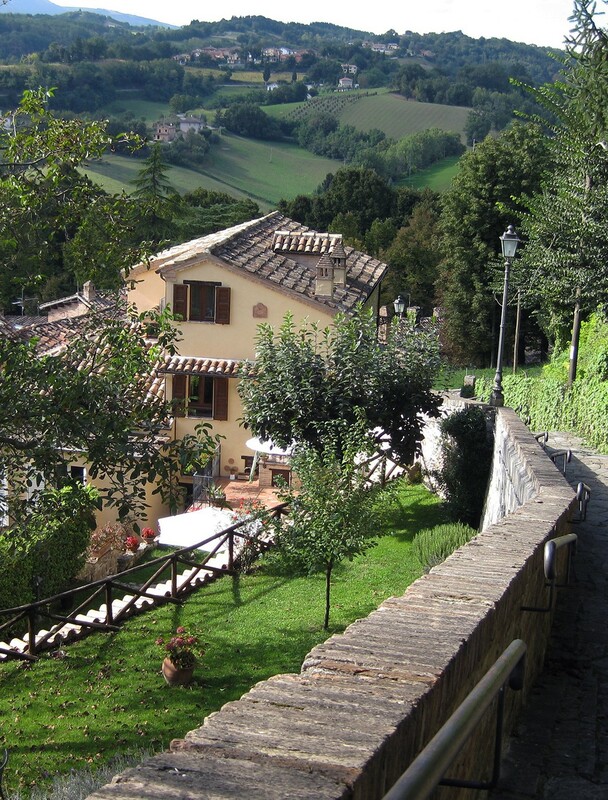 Surrounded by lush nature and rolling hills the town is built in ancient Roman style, with steep narrow streets that barely accommodates a small Fiat 500 that stretches up the hillside. “The area has an enormous network of old gravel roads and trails dated back to the Roman times. In addition the official road network is not trafficated, which makes the area great for mountain biking”, cyclist Erik van den Bovenkamp tells us. “The landscape stretches from forested mountains with open meadows, to grapes appeal covered hills and bare rock as you get higher up in altitude. You bike through small districts that in some cases consists of just five to ten farms”, he continues. Born in the Nederland’s, Erik has always been a keen cyclist. In 2014 he joined Terje and his solid bunch of cycling enthusiasts for the first time, and has been joining them on their yearly trip ever since. In August 2016 an earthquake in Central Italy hit Amandola. Several buildings were damaged, including the hotel in which Terje, Erik and the rest of the gang had been staying for years, Hotel Paradiso. Over the years they had developed a good relationship with the owner Oreste and his family, and upon returning they were met with sad news. Due to damages, the government had shut down the hotel. Some of the re-built will be done with government funds, but Oreste fears that the money will end up in the mafia’s pockets. If so, it will take years to restore the hotel to its previous glory. The catastrophe however, has not taken away the warmth and friendliness of the locals. That same night the gang was invited to a town barbeque and immediately got included in the party. It is therefore not without reason that Terje whole heartedly recommends Amandola as your next place to visit: “If you are looking for peace, warmhearted people and unique nature, Amandola should be your first choice”.